A Sunday Break: Clash of the Fields! 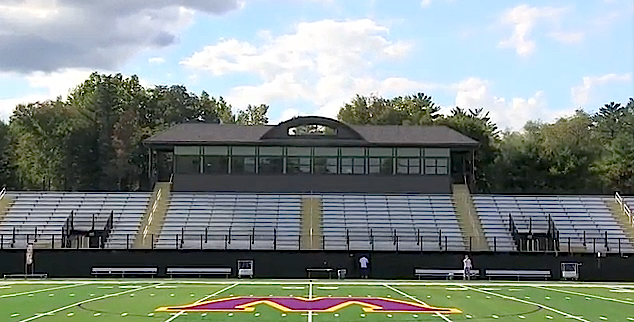 The Super Bowl has never been played at Farley-Lamb Field. Other schools’ fields have been honored to hold this event with its’ influx of tourist dollars and publicity. Yet the only football game aired from Weston was the Williams-Amherst game in 2007 when ESPN featured the game with the lede : The Biggest Little Game in America. And the score was W 20/A zip. Is this because our leftist faculty and administration are destroying the proud record of elitist right-wing helmet heads who have made Williams teams a tradition since 1884? Shame, I say! Comments Disabled To "A Sunday Break: Clash of the Fields!" Of course, apples and oranges. Saw your note. This is my short-form spin on a Dave post put into a timely context with an apples and oranges premise to provoke crowd reaction. Thought I’d drop it in on SuperBowl Sunday. Evidently, Dave does it better. You are crisper than David. You are undoubtedly correct! I remember watching the game in Portland and thinking it was national because who wouldn’t be interested in the Williams-Amherst game? Gosh, that was 10 years ago and I was a whipper-snapper of 73!